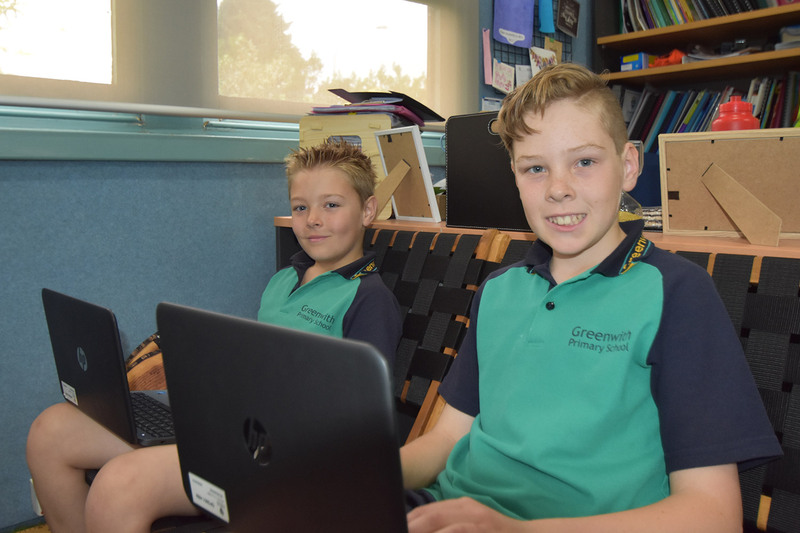 Greenwith Primary school is committed to building digitally responsibly students, by utilising cloud based learning programs in a safe digital environment. Students will agree to the acceptable use policy and will be instructed on how to use the internet in a safe, responsible manner. Interact with STEM/STEAM projects like Lego Mindstorm and Littlebits. Consultation with the ICT Sub committee and teaching staff in years 5, 6 and 7 it was decided that utilising the google suite of applications for education allows building an effective modern learning environment and increase digital productivity. Work stored in the cloud: No more lost work, students can continue their work from home. Integrated Environment: Students log in using their Greenwith Google ID and instantly have access to their work, school assigned apps and learning environment, even at home. Cost Effective: Chromebooks allow the school to purchase more devices. BYOD is available to students in Years 4, 5, 6 and 7. BYOD at Greenwith Primary School is optional and is encouraged to complement the already 1:1 Chromebook program in these year levels. Chromebooks are more cost effective they are a great introductory computer for students in primary and middle years who want a personal, secure device for school work. The option of purchasing a better Chromebook. Chromebooks compliment Gsuite, this makes it easier and faster in gaining access to school files and apps. Allows the school to reallocate the school Chromebook to another year level. All BYOD Devices will be shipped to your nominated address. Before a device can be used at school it will need to be booked into ICT so it can be set up ready for school use. This will involve factory resetting the device and enrolling into the Greenwith device management, allowing your device to connect to the schools wireless and be Naplan ready. For more information on what a Chromebooks is please visit https://www.google.com.au/chromebook/. For more information on Google Gsuite and the tools available on Chromebooks please visit https://gsuite.google.com.au/. Note that certain apps like Gmail and Google Hangouts are not available to Greenwith user accounts. Where can i buy a chromebook for school? At this stage, we are only accepting BYOD Chromebooks that are purchased via the schools BYOD Portal. To buy a device please follow the link below. When will I receive my Chromebook? Your device will be delivered to your nominated address. It typically takes 4-5 business days to arrive. Of Note, before using the device at school it will need to be booked into ICT to be set up. The easiest way to book for setup is for your child to ask their teacher to visit ICT for device setup. Before your device can be used at school, it will need to be booked into Greenwith Primary School ICT for setup and enrolling. The easiest way to book for setup is for your child to ask their teacher to visit ICT for device setup. Please note that this process may involve the device being factory reset. Students can use their personal Google accounts on a BYOD device when at home, but at school or if they are doing school work at home they will need to use their supplied Greenwith Google ID. I want to buy a device that will be suitable for High School? At this stage we are only accepting Chromebooks purchased via the portal as BYOD. Note that Golden Grove High School will not accept Chromebooks as a BYOD device. If you wish to buy your child a device for high school, please consult with the school they will be attending. If you purchase a non-Chromebook device, you can of course use this at home and install Google Chrome, at Greenwith Primary School your child can use one of the school supplied Chromebooks. A typical scenario will see year 5 or year 6 students purchase their own Chromebooks with a 3 year warranty, and a year 7 if they have siblings in lower years to hand the Chromebooks down. School ICT Services will provide limited support for BYOD devices including the following. School ICT Services will set up your Chromebook so it is ready to use at school. School ICT Services is available to help students log into and use Google classroom/services. For devices purchased via the school’s BYOD portal School ICT Services is available to initiate and look after any warranty claims. School ICT Services will not be available to help students with anything that is not relevant to their classroom work. If you would like any more information about Chromebooks and BYOD at Greenwith Primary School please contact the school.